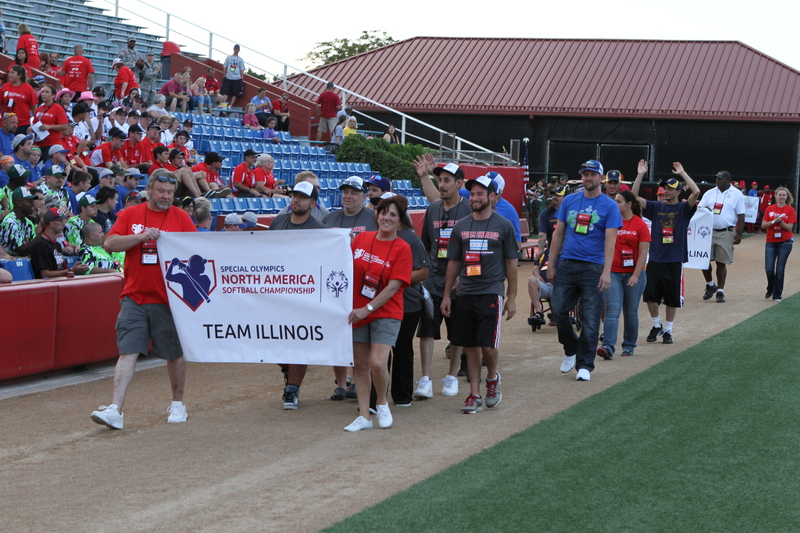 Special Olympics Illinois was represented by 51 athletes and Unified partners on four softball teams at the 2015 Special Olympics North America Softball Invitational Tournament in Wichita, Kansas. More than 450 Special Olympics athletes, representing 32 teams from 14 U.S. and Canadian Special Olympics programs, attended the tournament Sept. 24-27, during Special Olympics’ annual “Eunice Kennedy Shriver Day” – a global day of celebration to mark the legacy, vision, and continuing work of Special Olympics’ founder. The Tournament is made possible by presenting sponsor Moose International, as well as ASA/USA Softball, High Touch Technologies, Special Olympics Kansas and the Coca-Cola Company. View photos from the tournament.